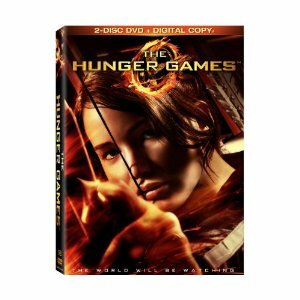 I recently watched “The Hunger Games” on DVD. I had heard from many people that is was a great movie. However, I was reluctant to watch it because my 12 year old told me, “this movie is about kids killing kids.” With a description like that, I had no desire to watch it. However, I decided to go ahead and watch it and if the premise of the movie started to bother me, I would just leave the room. What a FANTASTIC movie! I was on the edge of my seat the entire time and was physically shaking in fear for the main characters. There was only one scene that was somewhat graphic. Other than that, the movie was great. Even my 9 year old daughter liked it. As you watch the movie, you can definitely relate to the main characters and form opinions about the characters you want to make it and those you don’t. I won’t go into too much detail about the movie because I don’t want to give anything way. Just rent it or buy it and just watch it! If you like action and suspense, then this is the movie for you. Additionally, many 12 and 13 year old are reading this book in school. So if you’re curious about what they’re reading, then check it out.